Statistics NZ's annual internet survey provider survey shows massive growth in data consumption. Fibre connection numbers, speeds and data cap-free plans are increasing fast , Statistics NZ finds. The number of active fibre-optic connections in New Zealand reached 397,000 in the year ended June 2017, Statistics NZ said today, up 67 per cent from the June 2016 year. 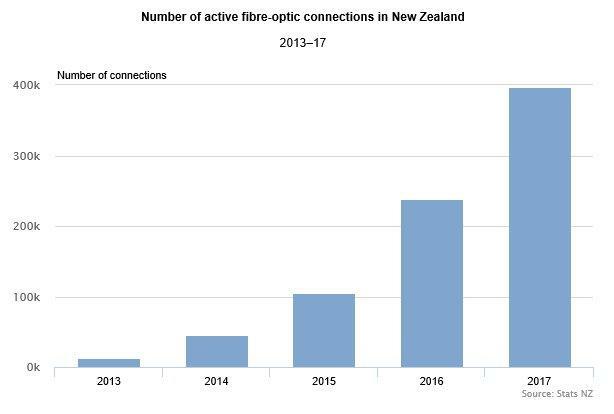 Fibre-optic connections now make up 21 per cent of all broadband connections in New Zealand, compared with 12 per cent in the June 2016 year, according to the results of Statistics NZ's annual Internet Service Provider survey. "We’re seeing lots of households moving to fibre, as it allows them to have several people watching movies and playing video games at the same time, without slowing each other down," business performance senior manager Daria Kwon said. 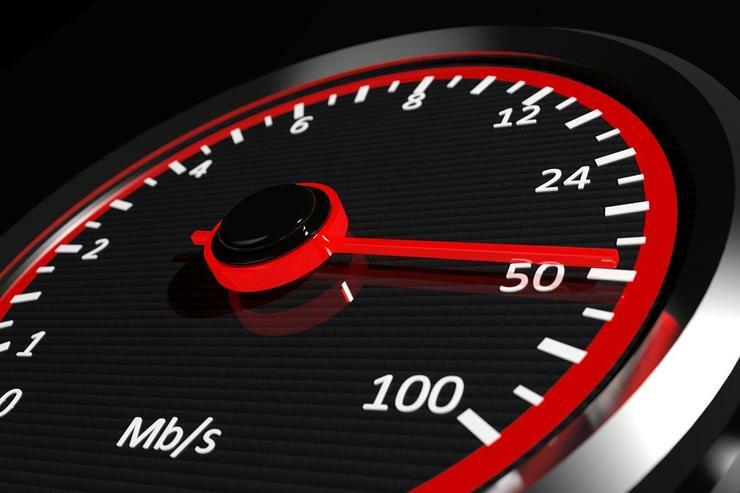 The number of people using ultra-fast broadband is growing at a rapid pace. There were 159,000 new connections in the year ended June 2017, compared with 133,000 in the June 2016 year. Fibre-optic internet connection numbers are growing fast. “The Ultra-Fast Broadband programme aims to have 87 per cent of New Zealanders able to access fibre by the end of 2022,” Kwon said. However, New Zealand also had 3.8 million mobile phones with active internet connections at 30 June 2017. This was up 11 per cent from the same time in 2016. The total number of home broadband connections actually decreased 3 per cent, according to the survey. Mobile data connection numbers are also increasing, but not nearly as fast as mobile data usage. Telco Spark has been actively encouraging its customers to shift to wireless broadband in the home, when available, rather than fibre, and appears to be having some success in that. In August Spark reported the launch of its "Upgrade New Zealand" programme saw wireless broadband connections grow to 84,000, up 72,000. 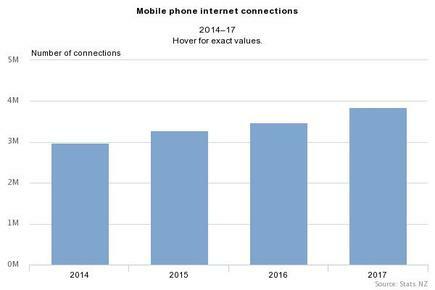 Mobile phone internet usage increased 104 per cent from June 2016, to 6,453,000 gigabytes in June 2017. This is around 1,700 megabytes for each mobile phone connection, compared with 900 megabytes in June 2016. Broadband connections consumed 276 million gigabytes of data in the month of June 2017, Stats NZ said. This was a 93 per cent increase from June 2016. “Residential broadband connections in New Zealand used around 170 gigabytes each, on average, during the month of June 2017, compared with 88 gigabytes in June 2016,” Kwon said. The proportion of broadband connections with no data cap increased to 62 per cent by 30 June 2017, and 12 per cent had a cap of 100 gigabytes or more a month. Residential connections with a data cap of 100 gigabytes or more have increased 171 per cent since 30 June 2016.